Why does my baby’s foot turn inward? | Podiatry Associates, P.C. Why does my baby’s foot turn inward? Babies’ feet turn inward for a variety of reasons. It could be as simple as intoeing. If your newborn has twisted, turned feet, though, your child is more likely displaying clubfoot symptoms. Clubfoot is one of the most common birth defects. The tendons connecting the lower leg muscles to the inside of one or both of your child’s feet are shorter than normal. This twists the feet sharply in at the ankle, so instead of the sole pointing downward, the side or even the top of your child’s foot points down. The affected calf may be significantly smaller and less developed, too. Fortunately, while your child is young and not walking, the condition doesn’t cause pain and can be treated conservatively. The key to dealing with a twisted foot like this, of course, is to address the problem right away. Let our team at Podiatry Associates, P.C. 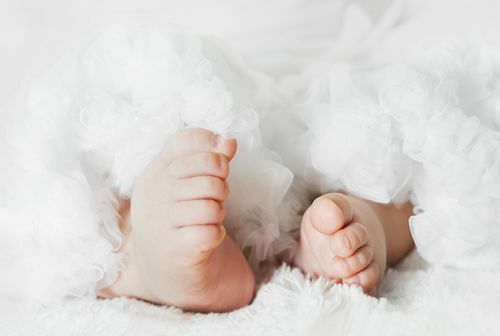 in Castle Pines, Cherry Creek, and Parker, CO, help you straighten out your baby’s feet. Call (303) 805-5156 to make an appointment with us today. You can also use our web request form to reach us.